In Heal’s furniture store in London, tucked away towards the back is a wonderful staircase. It was designed by Cecil Brewer in 1916 and it is as beautiful today as it was then. 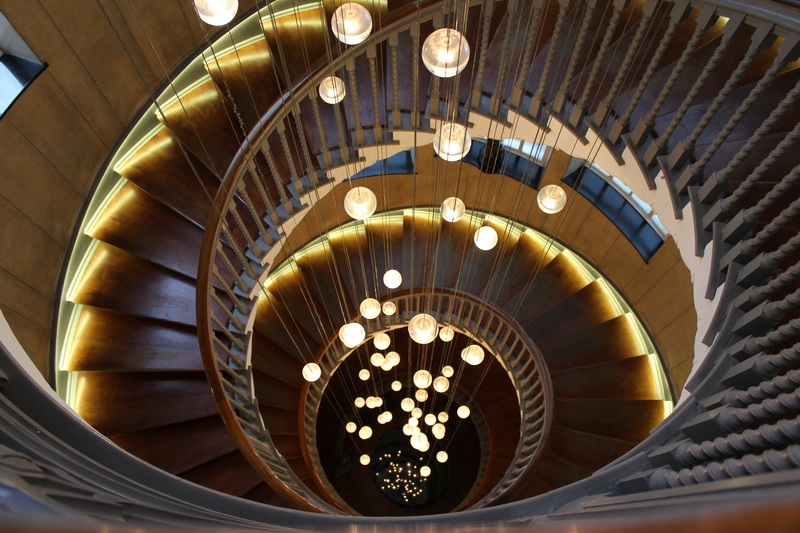 The staircase spirals from fourth floor to the basement level, with a stunning Bocci chandelier filling the space in the centre with 65 glass pendants. My favourite view is from the top down to the basement. There is a black glass table sitting just under the chandelier which reflects back the lit up pendants giving the view an extra twinkle. I would definitely recommend a visit if you’re in the area, as access to beautiful structures isn’t always so easy. 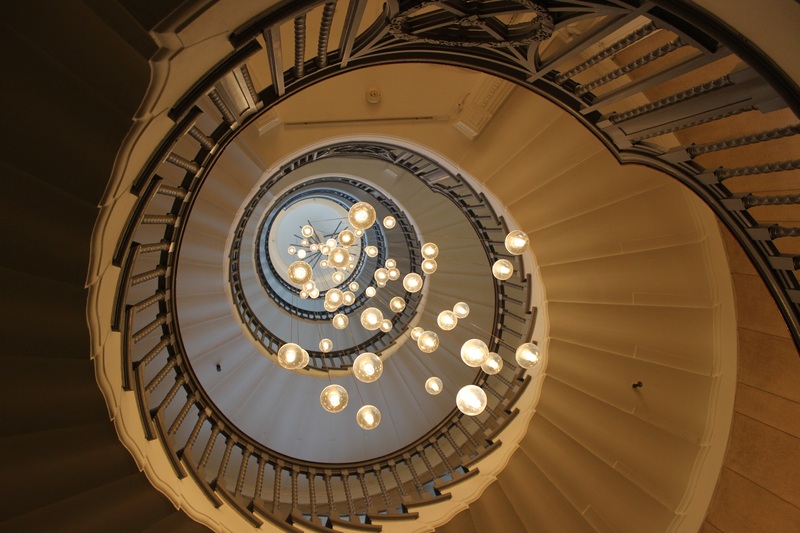 This entry was posted in Art, Building, DSLR, Landmark, London, Photography, Photos, Pretty and tagged Bocci chandelier, camera, Cecil Brewer, chandelier, DSLR, glass, handrail, Heals, lights, london, pendants, photo, photography, spiral, staircase by myeye1. Bookmark the permalink. Isn’t that beautiful? You took great photos of it.